Sub transient reactance Xd” is the apparent reactance of the stator winding at the instant short circuit occurs, and it determines the current flow during the first few cycles of a short circuit. Transient reactance Xd’ is the apparent initial reactance of the stator winding, if the effect of all amortisseur windings is ignored and only the field winding considered. This reactance determines the current following the period when subtransient reactance is the controlling value. Transient reactance is effective up to 1/2 sec. i.e. 30 cycles or longer, depending upon the design of the machine. Synchronous reactance Xd is the apparent reactance that determines the current flow when a steady state condition is reached. It is not effective until several seconds after the short circuit occurs, consequently it has no value in short circuit calculations for the application of circuit breakers, fuses and contactors selection but is useful for relay setting studies. During first few cycles reactance of system/synchronous machine is least and short circuit current is highest. This stage is called subtransient reactance. This reactance is denoted by X”. 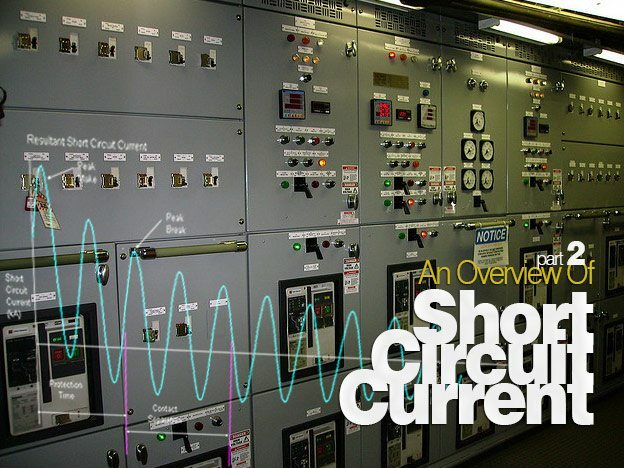 After first few cycles decrement in RMS value of short circuit current is less. This state is called transient reactance and is denoted by X’. Finally transient dies out and current reaches the steady sinusoidal state. Reactance in this state is called steady state reactance and is denoted by Xd. Here we can introduce the concept of short circuit making and breaking current. During the first few cycles of fault current the reactance is least and magnitude of short circuit current is highest. Current increases to maximum value at the peak of first current loop. All switching device are subjected to high electro-magnetic forces. To ensure that switching device like circuit breakers withstand safely this high magnitude of short circuit current, switching device is tested for short circuit making current. Hence we can also define the short circuit making current as peak value of first current loop of short circuit current. Above expression for calculating the making current is also given by Indian standard 10118, part-2 for selection, installation and maintenance of switchgear and controlgear. Relationship between peak and RMS. values of short-circuit current The value of peak short-circuit current (peak value of the first loop of the short-circuit current including DC. component) for determining the electrodynamic stresses shall be obtained by multiplying the RMS. value of the short-circuit current by the factor n.
One can observe the difference in selection of multiplying factor n in case of two different IS. 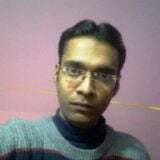 As per IS 10118 part-2 multiplying factor should be 2.5 and as per 8623 part-1 multiplying factor should be n times and n should be selected as per above table. Since IS 8623 latest edition is 1998 and IS 10118 has been published before 8623 hence generalized value of n in IS 10118 must have been elaborated in IS 8623. Also note the fact that IS 10118 considers the doubling effect as 1.8 times which may vary depending upon amount of DC component which in turn depends upon the X/R ratio. Exact and accurate knowledge of system X/R ratio is difficult to obtain, only power system engineers who are exclusively involved in system studies can throw some light on it. Hence different values of multiplying factor at different power factor (in other words X/R) in IS 8623 is more reliable and is used by all switchgear manufacturers. All the switchgears are type tested as per IS 8623 part-1 Readers are advised to refer the equivalent IEC 439 part-1 for technical comparison and analysis of multiplying factor n.
When determining the magnitude of short-circuits currents, it is extremely important that all sources of short circuit current be considered and that the reactance characteristics of these sources are known. Electrical loads are either static (such as lighting) or dynamic loads (like motors). Dynamic loads have residual voltage and voltage of fault point is zero (if it is ground fault) or very less than line voltage hence current starts flowing from dynamic loads to fault points. During a short circuit condition the system voltage will decay. A stable voltage supply no longer exists. The rotating magnetic field in the rotor will attempt to support the reduced voltage condition by becoming a power source. The motor is now providing additional current into the faulted electrical system. This phenomenon is called “motor contribution”. The amount of current is dependent on the motor impedance. At first there is an asymmetrical current containing both AC and DC components. Lack of a stable voltage supply causes the AC component to decay when the rotor flux begins to drop. Without a stable voltage supply, the transient DC component also decays. Induction motor contribution typically lasts from one to four cycles from time equal zero during a short circuit condition. However, synchronous motors’ short circuit contribution can last from six to eight cycles. The main difference is the induction motor does not have an excitation capability of a synchronous motor; therefore, it cannot maintain voltage for the same amount of time. In either case the motor contribution is present during the first cycle. Due to residual flux in the rotor of the induction motor, it contributes fault current for 1-4 cycles. Normally, induction motor current contribution is considered for fault calculations. ANSI standard C37.010  offers guidance when calculating motor contribution for a group of low voltage motors if detail motor data are not available. Assuming a motor contribution of four times rated full load current is acceptable. The standard arrived at this value by assuming the motor contribution of 3.6 times rated current came from 75% induction motors and 4.8 times rated current from 25% synchronous motors. A circuit element where voltage is induced by changing current in it is inductor and property is called inductive property. As per Lenz Law rate of change of current is positive and induced voltage is negative. Thus inductance acts in negative direction around the circuit to oppose change in current and hence can also limit the short circuit current. Total article is based clear concept thank you. I have read totally. Sometimes short circuit occurs dangerous accident.